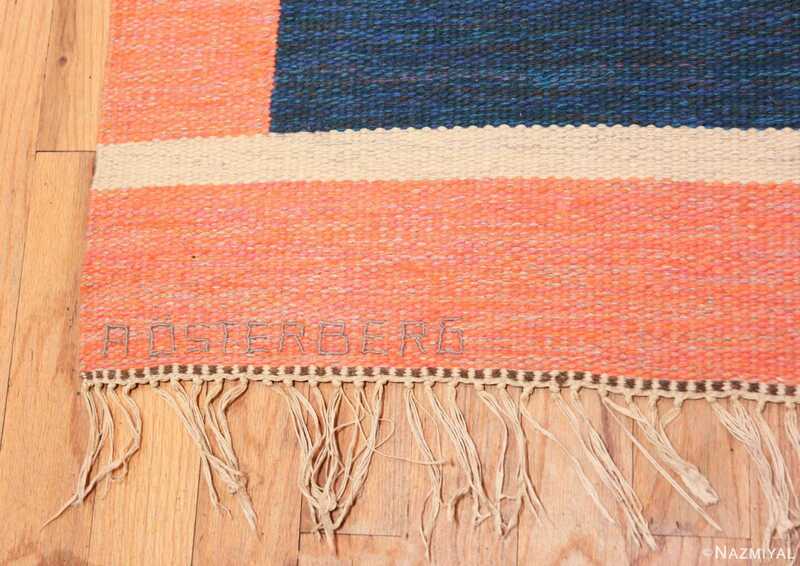 Large Long and Narrow Gallery Size Vintage Swedish Runner Rug by A. Osterberg, Country of Origin: Sweden, Circa Date: Mid-20th Century – Here is a beautiful and unique vintage rug – a runner length piece featuring a design by the mid-twentieth century Swedish designer A. Osterberg. 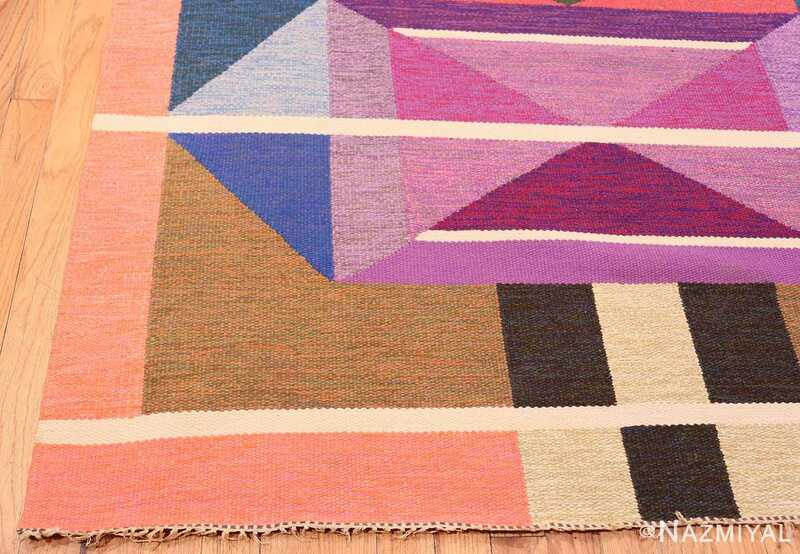 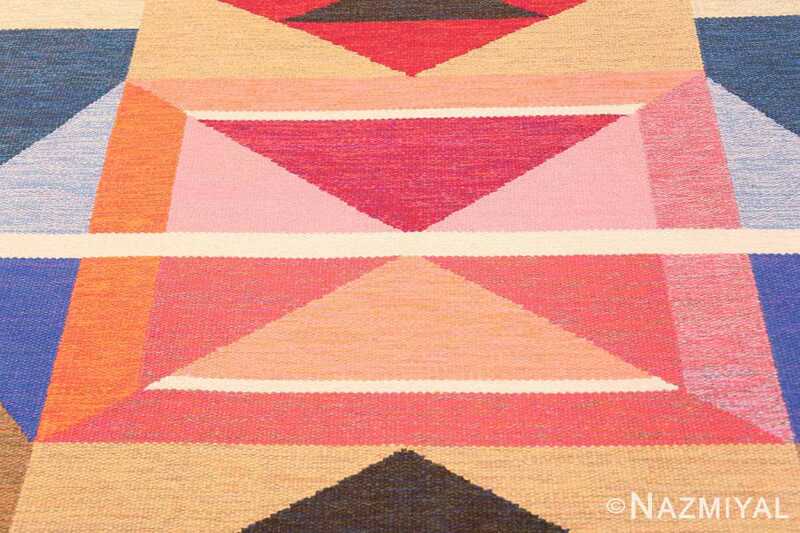 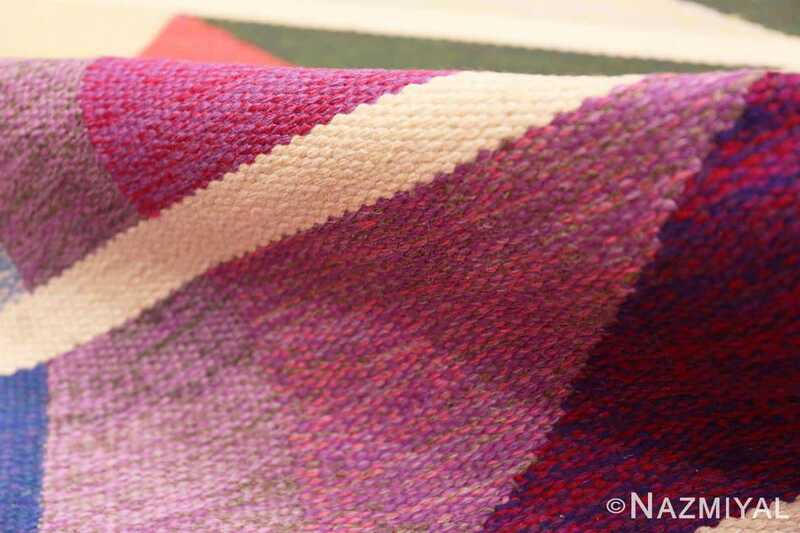 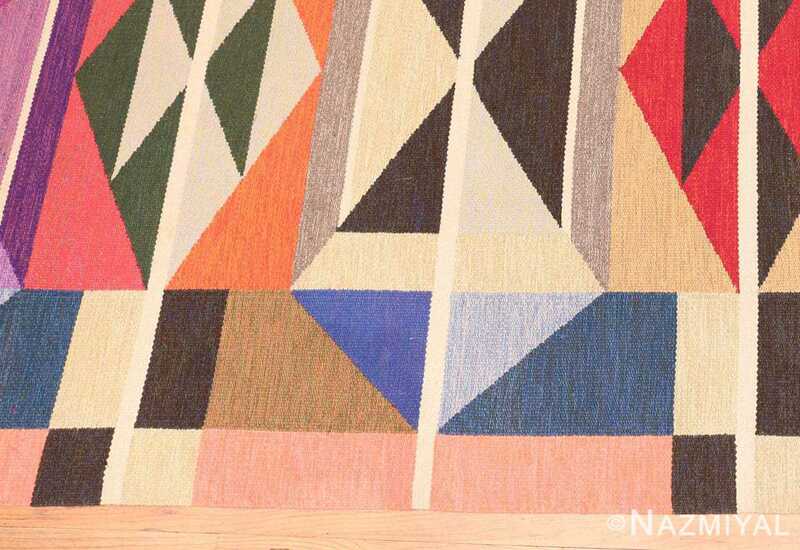 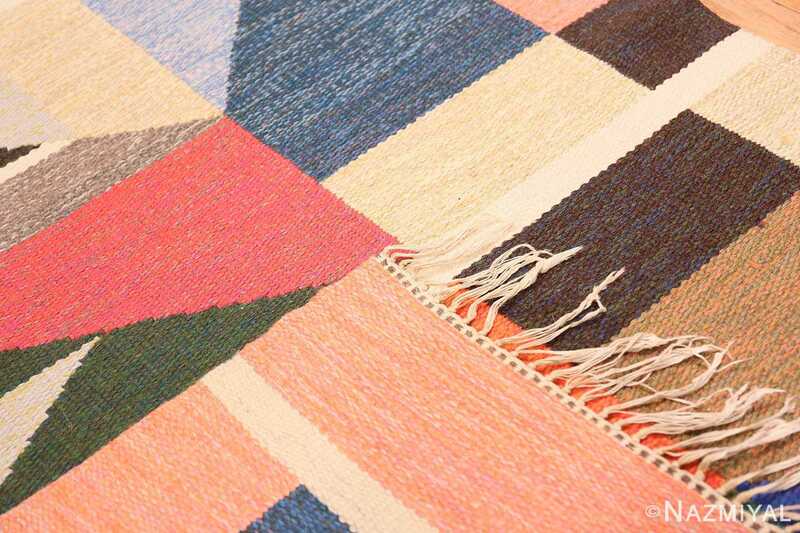 Scandinavian carpets – and especially mid-century Swedish carpets – have enjoyed an enormous surge in popularity in recent years, finding themselves the beneficiaries of a renewed interest in mid-century modern aesthetics. This particular example, with its highly abstract, geometric composition is a brilliant example of the aesthetic values of the mid-century movement, which put special emphasis on clean lines and understated. 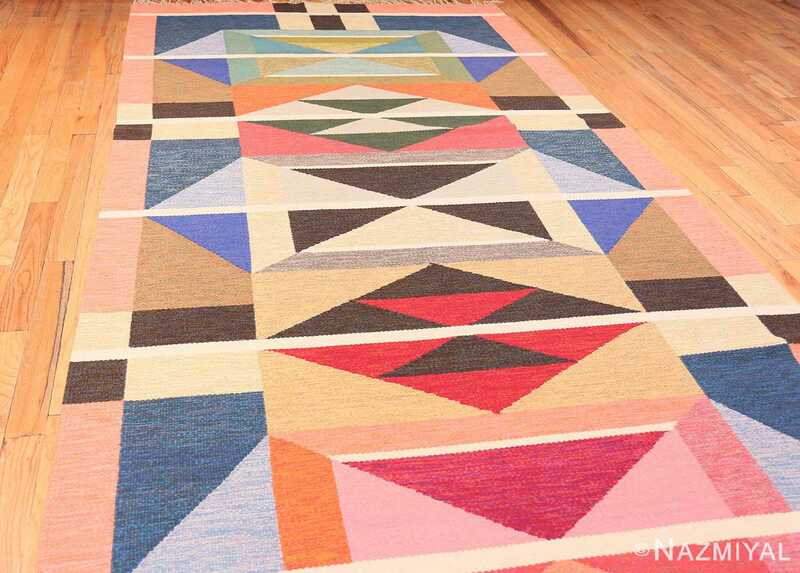 At the same time, this carpet also features an especially bright color pallet of spring pastels, ranging from shades of pink and purple to hues of greens and blues. 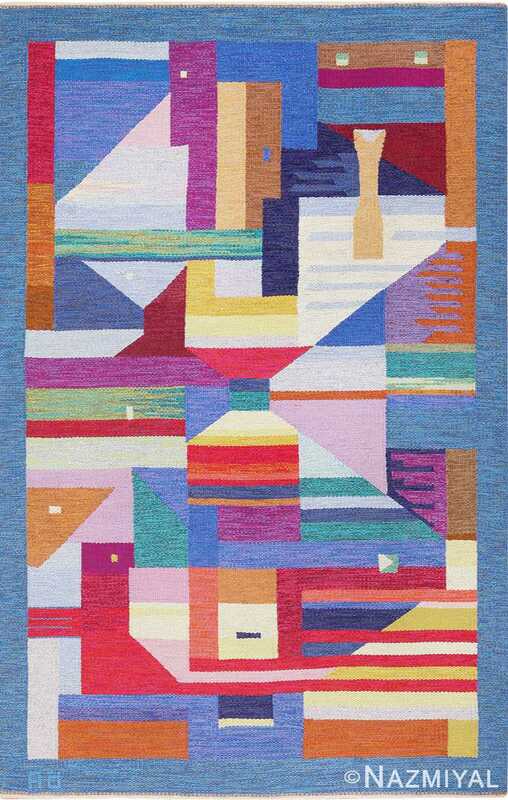 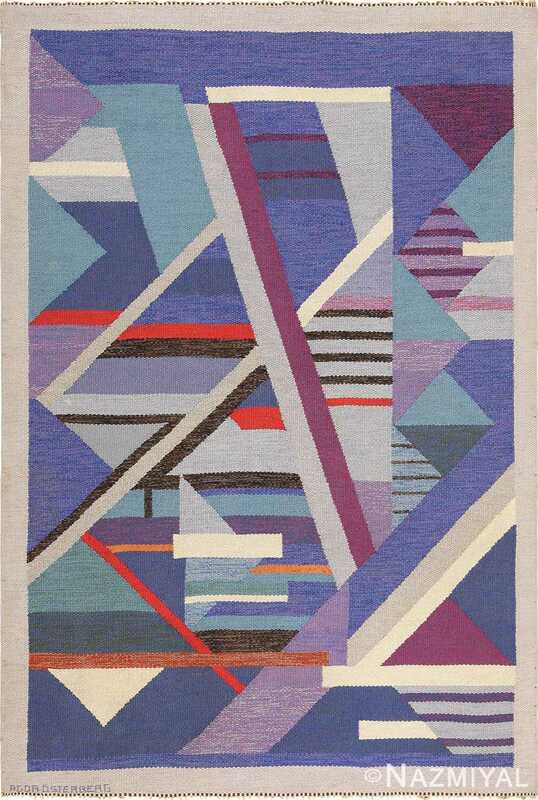 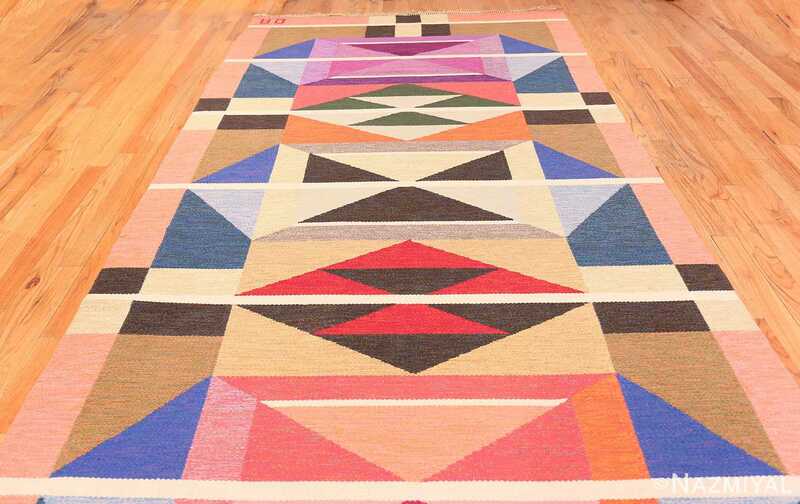 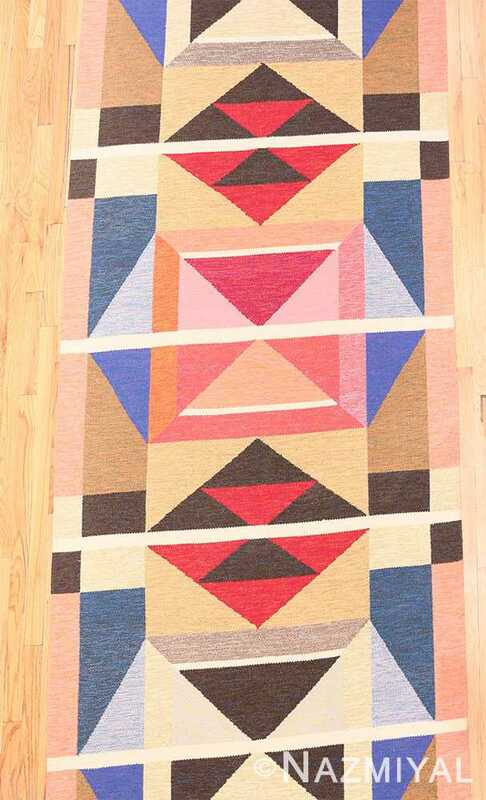 Large square and triangular figures are arranged in an intriguing manner throughout the long vertical space of this rug, directing the eyes inwards, outwards, up, and down, giving this Scandinavian rug a powerful inherent energy. 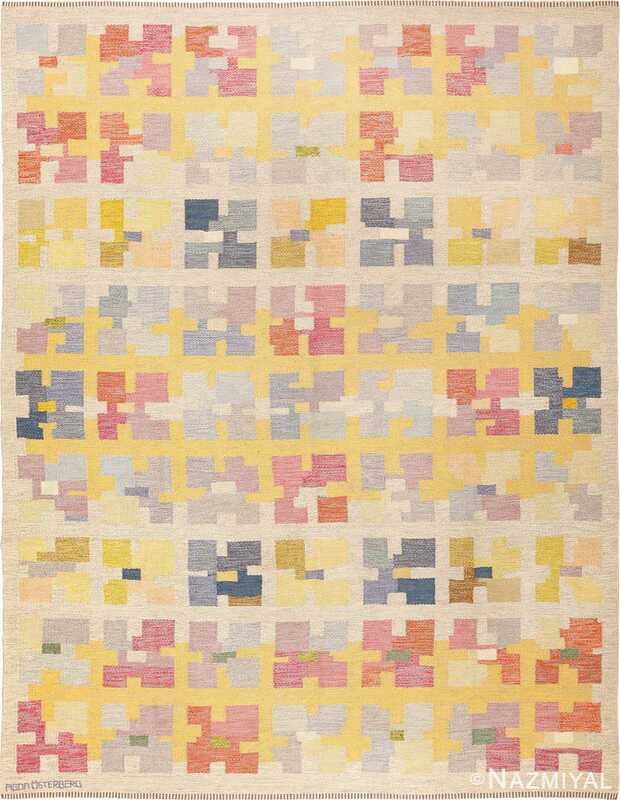 Between its dynamic composition and its whimsical color pallet, this vintage Swedish rug is an excellent example of a popular style. 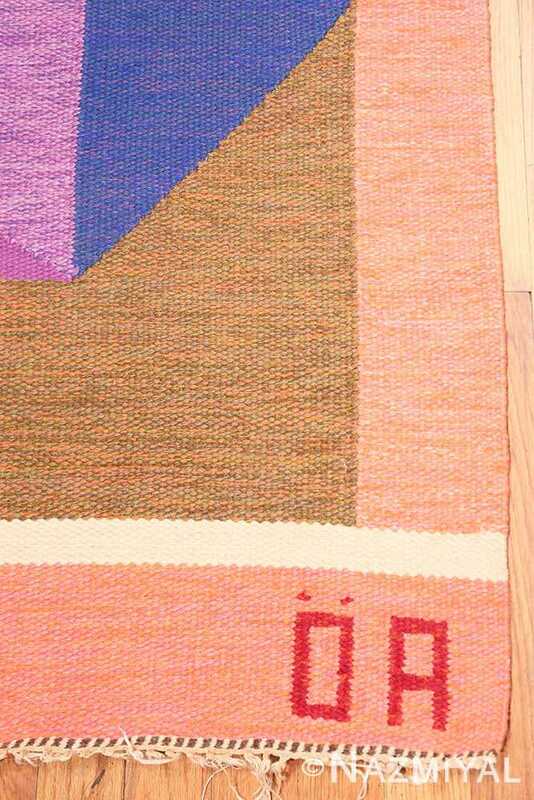 Sure to bring sophistication and uncoupled energy to any space, this runner is an exciting modern work.